Santa is delivering toys to good boys and girls! 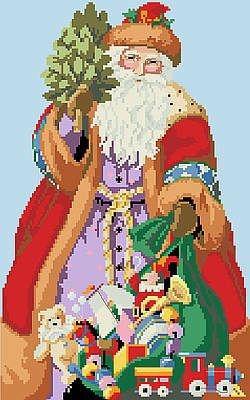 Decorate your space in jolly charm with this Santa cross stitch design from Kooler. We've got a Santa for everyone so check out the rest of the collection! Contents: Stitch count 119w X 190h, finished size on 14-ct, 8-1/2" X 13-1/2"